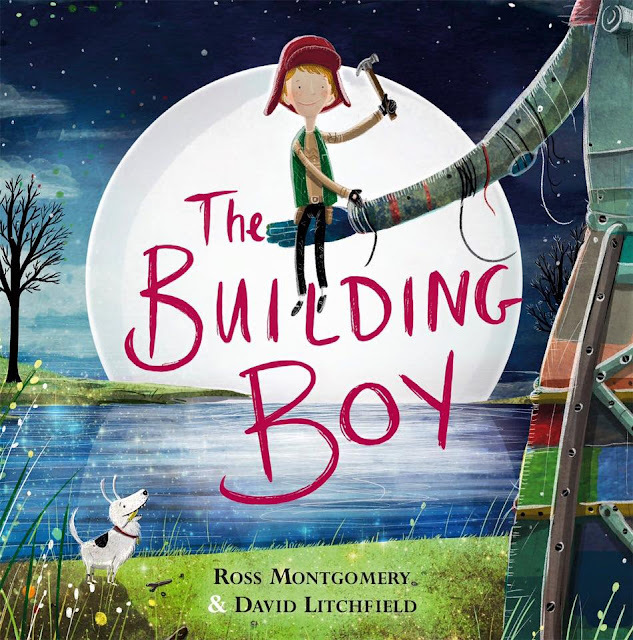 The Building Boy by Ross Montgomery and David Litchfield is the story of a boy. The boy lives with his grandma, who's a famous, retired architect, and for as long as he can remember, the garden has been filled the brim with old building materials. When the boy's grandma passes away, he decides to use what she left behind to build a giant sculpture of her. What he didn't expect, though, was for the sculpture to come to life and carry him on a journey of mourning, recovery, and hope. Every aspect of the book pushes readers--and the boy--forward. As the two bounce in the fields, swim through water, and fly across the moon, they're constantly moving left to right. 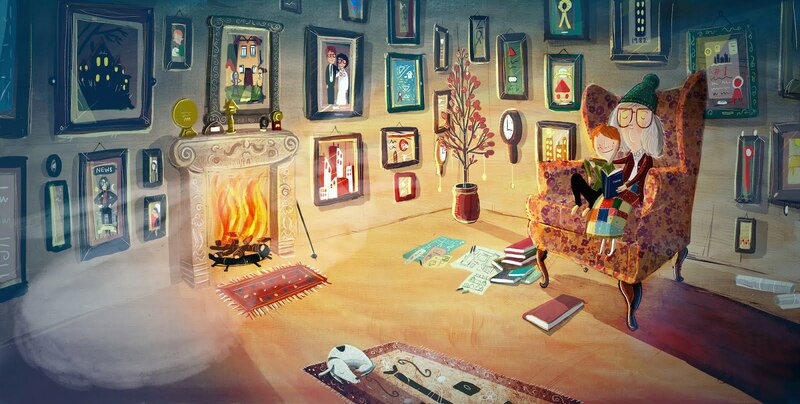 The illustrations literally force the boy to move forward with his life, albeit against his will at first. And although he's scared at first and questions where the sculpture is leading him, he eventually comes to realize that life will always move forward and carry him with it. It's the boy's responsibility to learn from his past experiences and build on the inspiration his grandmother left him. The digitally-enhanced pen, ink and pencil crayon illustrations are just absolutely breath-taking, like everything Litchfield does. A master of light and shadow, Litchfield provides the story with an intense sense of dimensionality and space that makes the text come to life. 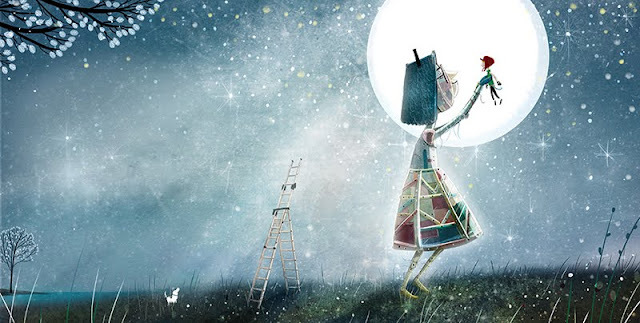 The bulk of the illustrations take place at night (and during inclement weather! ), highlighting the boy's stagnant nature and inability to move on. He literally would rather stay where he is and build a giant sculpture of his grandmother than create something new with his life. It isn't until the very end of the book when the boy learns to accept the major life change that we see sunlight again.